Gratefully loosed from the trials of this world, Elaine H Johnson, 85 years of age, entered into perfect communion with the Lord Jesus Christ and His Church Triumphant, on January 20, 2019. She was born to Anita G Hoover (née Stevens) and Paul W Hoover on July 22 1933, in Strasburg, PA. Elaine graduated from McCaskey High School in 1951, and received her BS in Elementary Education from Millersville State Teachers College in 1955. She taught school for a few years prior to starting her family. She was the beloved wife of William J Johnson of Lancaster, for more than 62 years. Elaine was dedicated to a life of service and faith. She loved music and hospitality, and served the Lord with these gifts, as well as with a willingness to help anybody in need, in any way that she could. From the time she was a teenager, Elaine played the piano and organ for church services and other functions. She was a lifelong member of the Presbyterian Church. She sang in church choirs throughout her life. With her husband Bill, she was a member of Highland Presbyterian for over 50 years, where she served in many roles, including being an elder of the church, managing the Food Cupboard Ministry for over 15 years, serving on the Hospitality Committee, providing assistance to refugees, and providing care through the Stephens Ministry. She was active in community service for several decades, volunteering for many organizations, including Meals on Wheels, Leola Women’s Club, the Fulton Opera House, and the Leola Public Library. Elaine is survived by her husband William (“Bill”); a sister, Louise Carson, of Troy, NY; a son, Eric W. Johnson, of Abingdon, MD; a daughter, Carol Edwards (David), of Mohnton, PA; and many treasured nieces and nephews. She was predeceased by her parents and a sister, Mary Rachel Hoover. Services will be held on Saturday, January 26th at Highland Presbyterian Church, 500 E Roseville Rd, Lancaster, PA 17601. Visitation will start at 10 AM. The memorial service will be at 11 AM, followed by a luncheon. In lieu of flowers, and in memory of Elaine’s lifelong commitment to the ministries of Christ, we ask that donations be made to any of the following: Lancaster County Council of Churches Food Bank, Church World Services, or any charity that directly provides food, clothing, shelter, or pathways to self-reliance. Our hart ‘s goes out to the family along with our prayers. Thank you all for your condolences, fond messages, and loving support. We grieve, but it is well with our souls. Our hearts are with the entire family during this difficult time. She was an amazing and giving person who is now at peace. Heartfelt condolences to the family for the loss of your loved one. 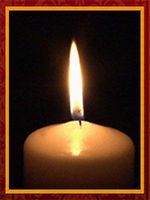 Prayers for comfort, healing, and much faith during your time in sadness. May it be of some comfort knowing she is home with our lord and now has become an angel for your family. Elaine was a wonderful person and I am blessed to have known her. She was unfailingly kind to me. I am so sorry for your loss. Much love to you all. Growing up with all the great friends in Forest Hills and all of our parents, Elaine will always stand out to me for her laughter and her wonderful sense of humor. She always had a smile on her face and was always nice to us kids, regardless of how rotten we could get. I know she’s up in heaven now smiling down on the legacy she has left on this earth in the form of her two wonderful children and all of the other people who she touched in her journey through life. The Johnson family is in our thoughts and prayers. All of us are keeping you in our thoughts these coming days. Our days in Forest Hills growing up were some of the best memories we all share. Hoping Elaine, your mom, has found peace, and you can all reflect on her beautiful lifetime. Much love, Barbara, Bill, Betsy, and Bonnie Brecht. To my Surrogate Family: Mr. J., Carol , and Rick, I have only a lifetime of beautiful and joyous memories about my my Surrogate Mother. Needless to say I, I loved her as my own Mother. Rick and Carol, thank you for Sharing your Mother with me. Mr. J, thank you for being my Dad. Together, we will see her again and all of spend eternity together. Continue being loved and embraced by the Holy Spirit, Our Personal Comforter. I Love you Mr. J., Rick and Carol. My greatest condolences for such the loss of a beautiful soul. He has brought home another Angel.Prayers to you all through such a difficult time.